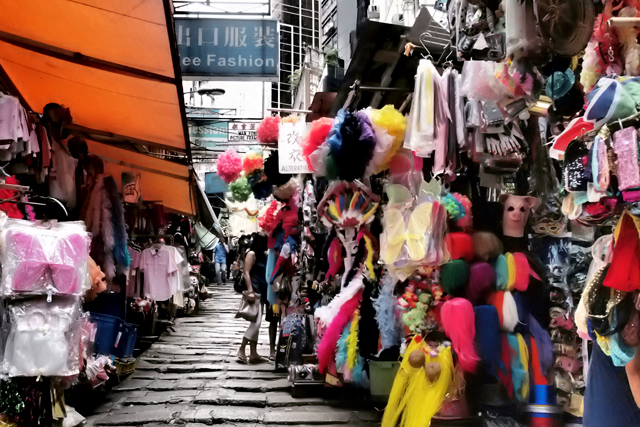 A sloping road lined with stores selling flashy paraphernalia and cheap souvenirs. Pottinger Street is made of flagstones from the 18th century. If you say it’s a sloping road, it’s a sloping road, and if you they are steps, they’re steps. These flagstones are so difficult to walk on that I’m sure people have noticed that they are extremely old. Was it that long ago, there was no inkling to adjust the size of the steps to a person’s stride? Whether you go one step at a time, or two steps at a time, they never seem to match your stride. It is qualities like that that make old Hong Kong so great.